Mamuka Bakhtadze, the new prime minister of Georgia, at a news conference in Tbilisi, June 14, 2018 (Sputnik photo via AP). 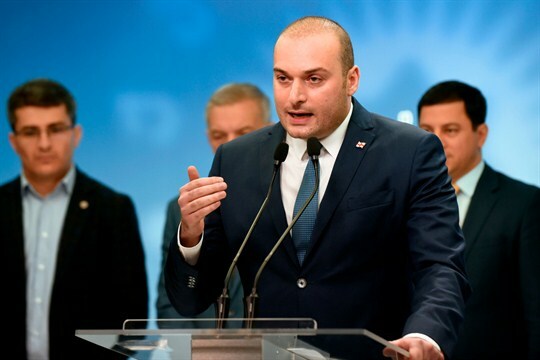 In mid-June, Georgia’s former finance minister, Mamuka Bakhtadze, was quickly confirmed as its new prime minister following the resignation of Giorgi Kvirikashvili amid a cloud of party infighting and swelling street protests. Following a swift confirmation by parliament, Bakhtadze announced plans to shrink the size of the Georgian government, while simultaneously pursuing more robust social welfare reforms. Internationally, the new government has vowed to maintain the country’s longstanding pro-Western policies, though broader strategic conditions continue to complicate Tbilisi’s persistent Euro-Atlantic ambitions.